Every Taimen Base Camp or „Fishing Lodge" has been built of solid log-cabins and provides a 2-bed or a 4-bed cabin accommodation. Our cabins are well isolated and they feature a cozy interior with solid wood furniture and traditional wood-stoves. A modern-day bathroom with running hot water, shower, and a separate flush-toilet is part of each cabin, as well as comfortable wooden beds with matrasses and fine bedding & linen. Our earlier Taimen Base Camps, built during the pioneer times in Mongolia some 20 years ago, are equipped with cabin accommodation equally, but feature just one large bathroom and hot showers, to be shared by each group of 4 to 6 fishermen. The toilets are dry, but perfectly clean, and built as classic "outhouses" behind the camp. Dining rooms are generous and comfortable, nestled in a traditional log-cabin and offering a bar and leather armchairs in the old pioneers style for our fishing guests. The large and well-equipped kitchen serves a rich English breakfast and a 4-course-menue dinner. The lunch may be just sandwiches on the river bank, or a soup or light salad at the dining room. 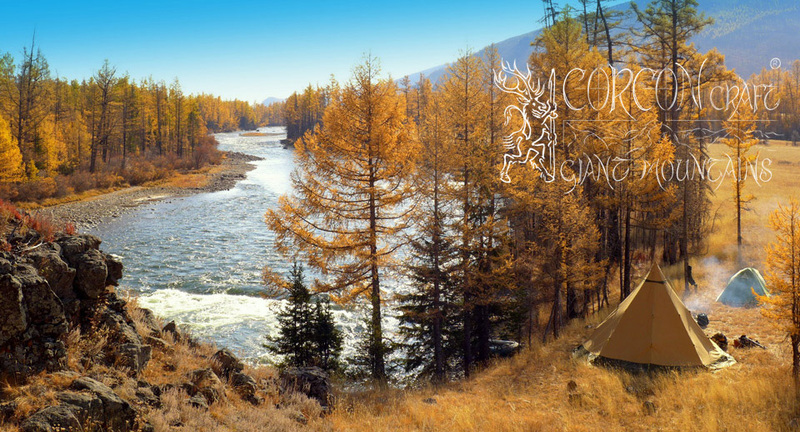 The Seasonal Fishing Camps are erected of native yurta-gers directly at the bank of river or lake, and these Mongolian gers are sturdy constructions with generous space and unmatched comfort for the traveling fisherman and his equipment. The felt walls of the traditional Mongolian ger provide a time-proven isolation with good air circulation, and a warm and cozy atmosphere due to the classic iron wood-stove in the center of the ger. 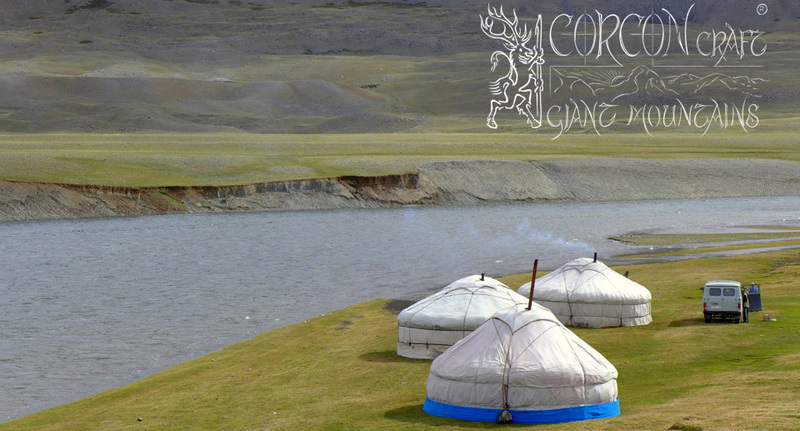 - 3 comfortable wooden beds with matrasses and basic beddings are the standard accommodation for each of the 2 large gers, and a third ger serves as the kitchen and dining ger, occupied by our native Mongolian staff. Our remote Expedition Camps are typically set up as day-camps along the wild river, and we are using the traditional Tepee-type tents made in Sweden for our explorations. Each Tepee is made of robust, impregnated canvas, and as a 9-men-tent provides ample space for 3 fishermen with their fishing and camping equipment. A portable stainless steel wood-stove generates quick heat inside the Tepee after a tough day at the river, and the maintained campfire outside adds to the comfort and wild romance of our river encampments. A traditional petroleum lantern fills the Tepee´s with soft light and recalls the atmosphere of old pioneers and boy scouts days. The beddings are just simple, inflatable iso-matts and large, comfortable sleeping bags filled with warm camel hair. Our expedition Tepees are standing more than 11 feet tall, providing unmatched space, comfort and air-circulation, while the outdoorsman can stand up freely for changing waders and trousers in the warmth of the tent, and clothing can be hanged-up overhead for drying. The separate kitchen Tepee gives shelter to the native Mongolian pathfinder and horseman, to the fishing guide, and to the native girl-cook, who is in charge for the campfire, the meals, tea & coffee, and for the general comfort at our expedition encampments.